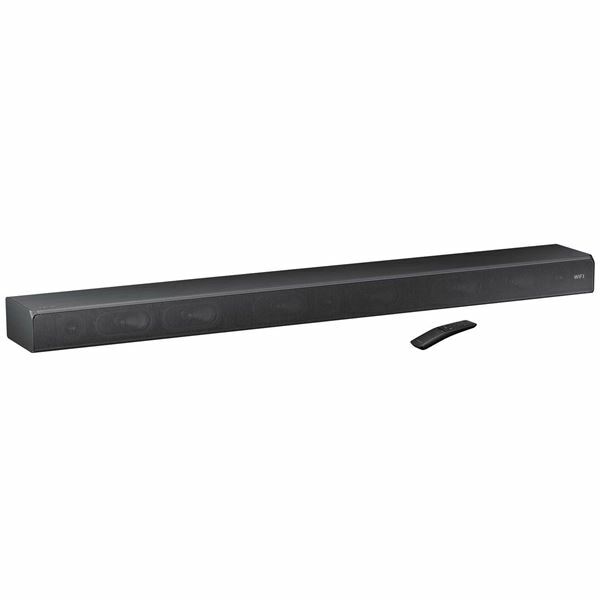 2017 5.1 channel soundbar with subwoofer by Samsung Electronics. High-resolution audio Supports 96kHz/24-bit PCM audio file formats for clear detailed sound. 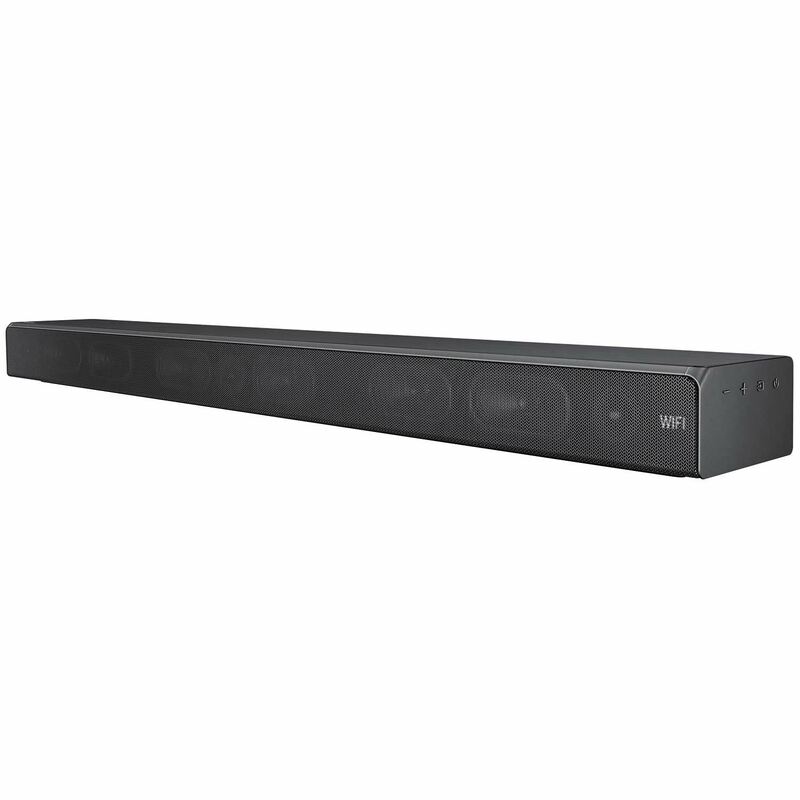 Connect any 4K video source such as a UHD Blu-ray player through the Samsung HW-MS650 to your TV for rich sound and 4K picture quality. 180W total system power (20Wx9) provides quality sound for your favorite movies, shows, games and music. 9 built-in speakers with dedicated amplifiers deliver rich full audio. Built-in subwoofer offers powerful bass. Dolby Digital decoder reproduces multi-channel audio to deliver a cinematic audio experience. One-remote compatible so you spend less time switching between remote controls. 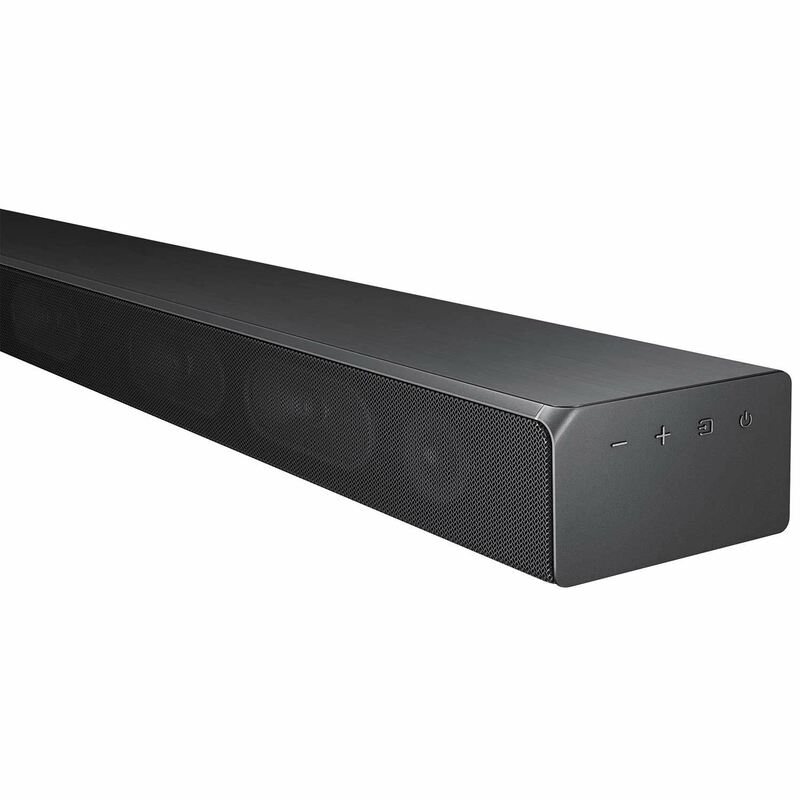 Your 2017 Samsung TV remote now manages many of the soundbar's functions. Inputs Include analog audio, optical digital audio, USB 2.0 and HDMI. Built-in Bluetooth makes it easy to enjoy tracks stored on a compatible Bluetooth-enabled device. 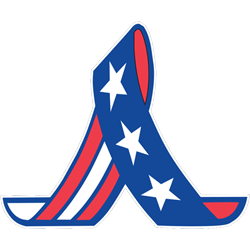 Supports a variety of file formats Including WAV, WMA, AAC, MP3, FLAC, ALAC and OGG, so you can enjoy your favorite media. 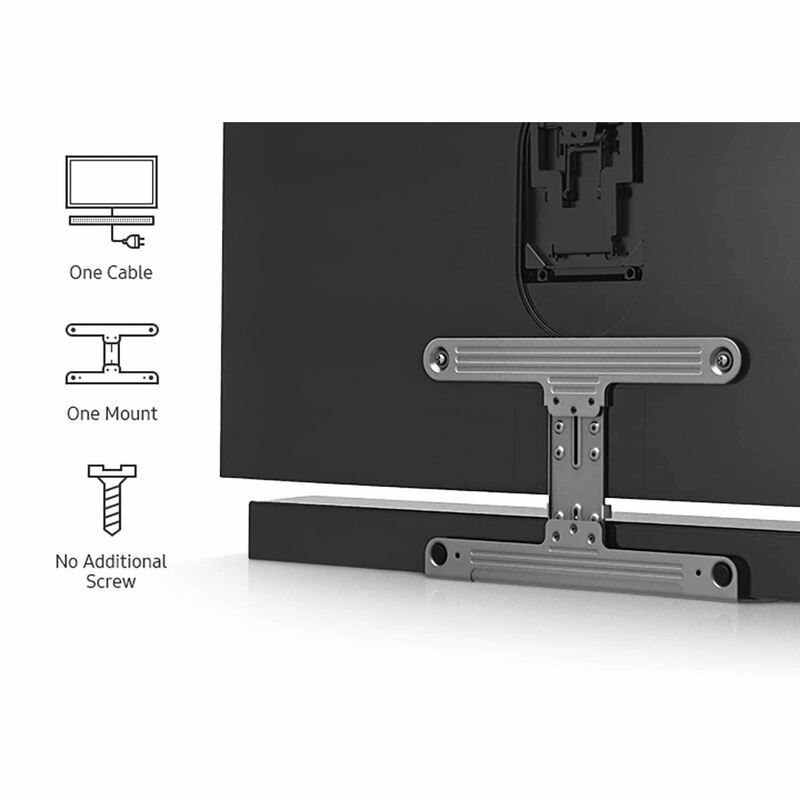 Wall-mountable with the included bracket.